We hope you were able to join us at the Museum for our second annual "Week of Heroes" event over spring break. Thank you to all our guests and visitors for this event; you made it a great success! 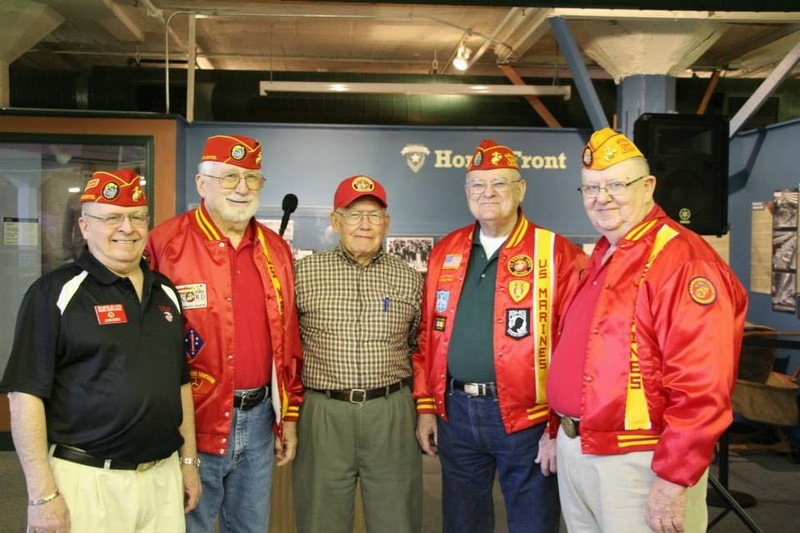 Visitors had the chance to meet heroes while discovering local, national, and world history through Museum exhibits. The week was extremely interactive for guests. 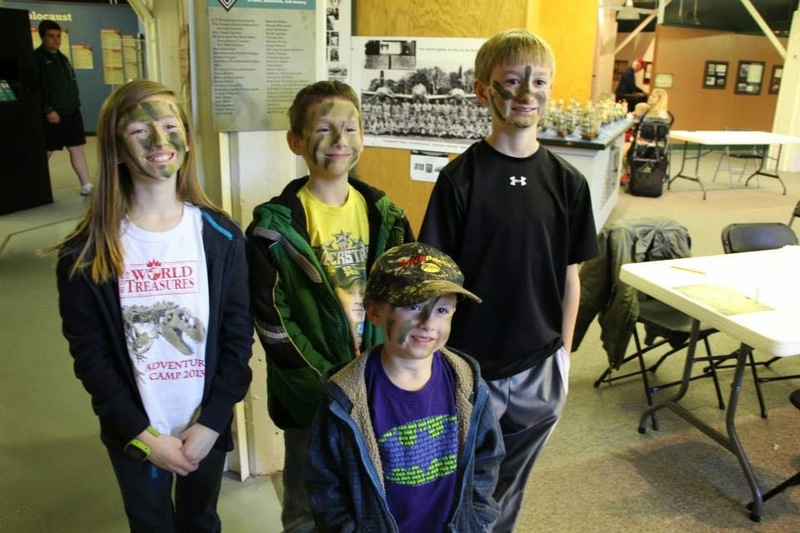 Children had fun completing crafts, watching reenactor performances, and having their faces painted by military members. 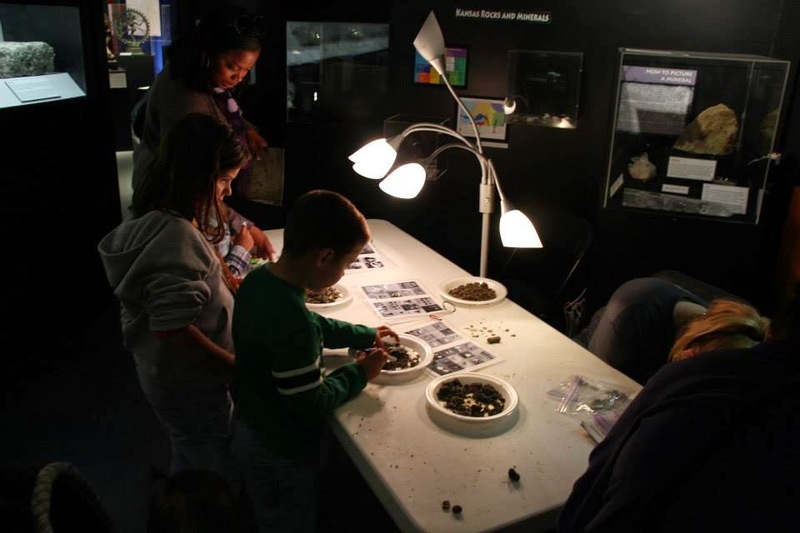 Guests of all ages dug for fossils in the Museum's rocks and minerals exhibit. 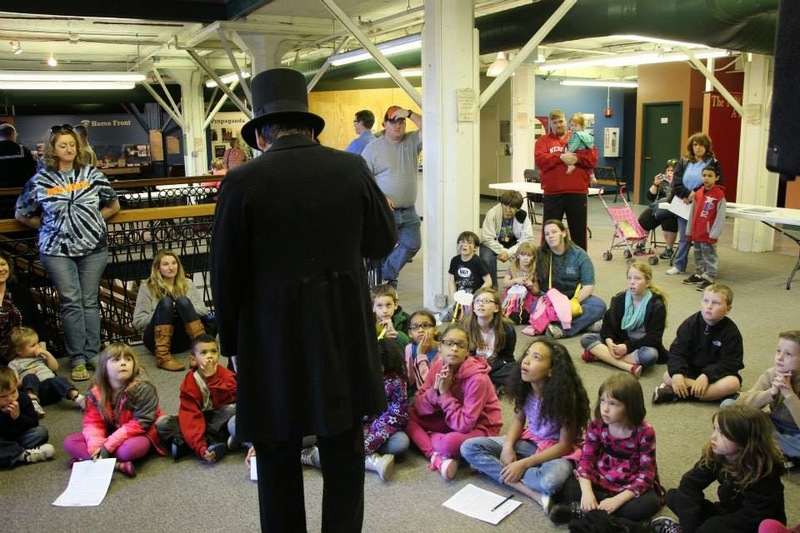 Abe Lincoln gave several presentations throughout the day to kids and adults where he recited the "Gettysburg Address." Children loved getting war paint! Thank you to the Wichita Fire Department and Wichita Police Department for joining us throughout the week. 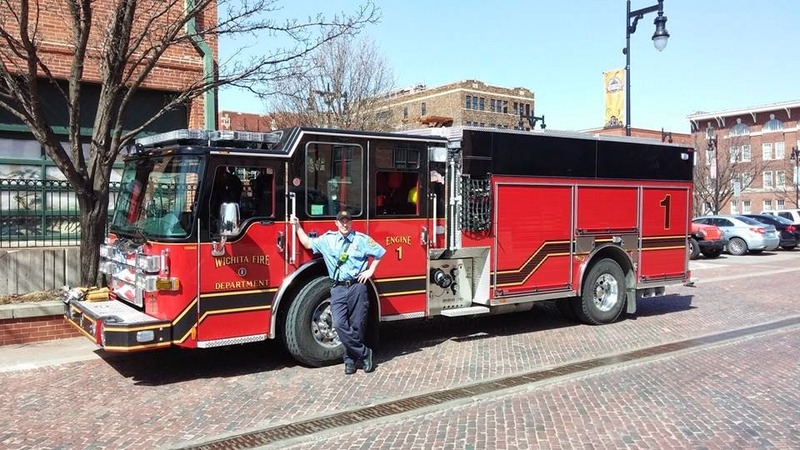 Guests enjoyed touring the issued vehicles and meeting with the local fire fighters and police officers. This fire truck is brand new and has been on the street for less than a month. 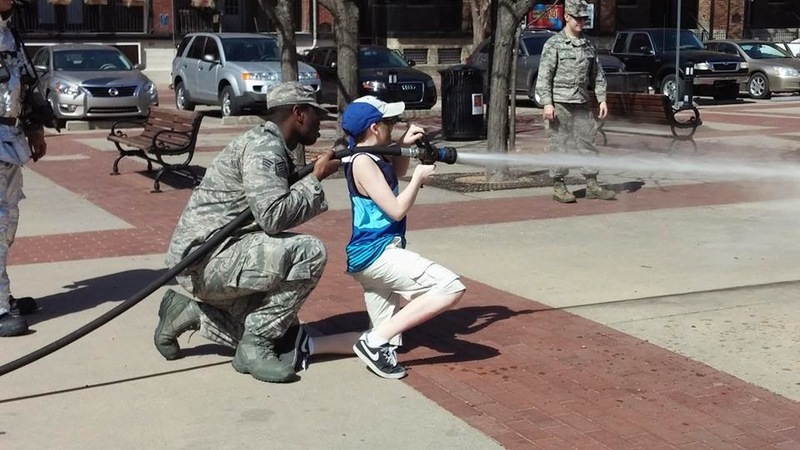 Thank you U.S. Air Force for bringing your fire unit and allowing kids the chance to use the water! Abe Lincoln made a wonderful appearance at the Museum on Wednesday and provided several reenactment performances throughout the day. 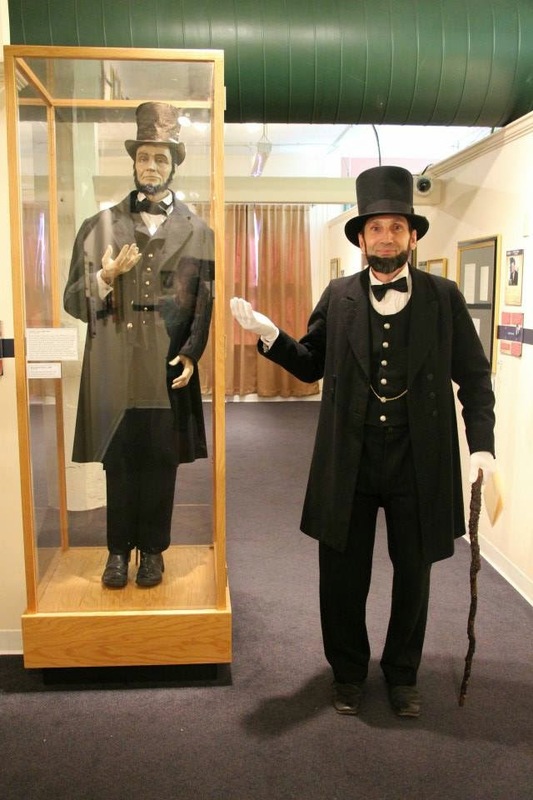 He was tickled when our Curator of Collections allowed him to hold Lincoln's cane, with gloves of course! 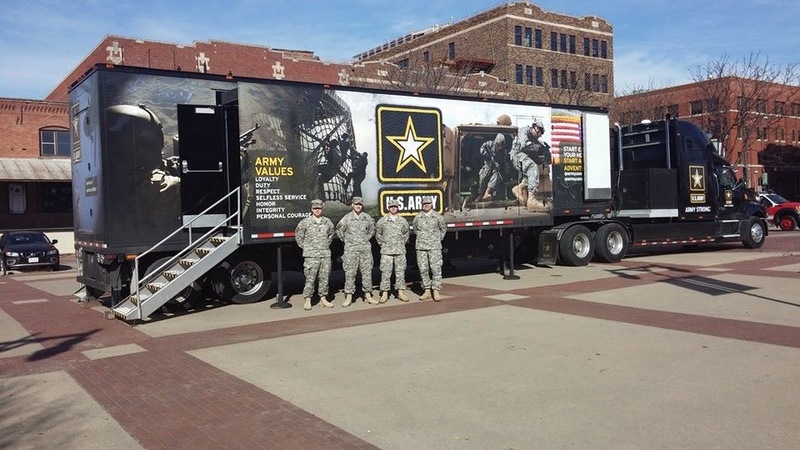 Thank you U.S. Army for providing a recruiter semi for the front pavilion. 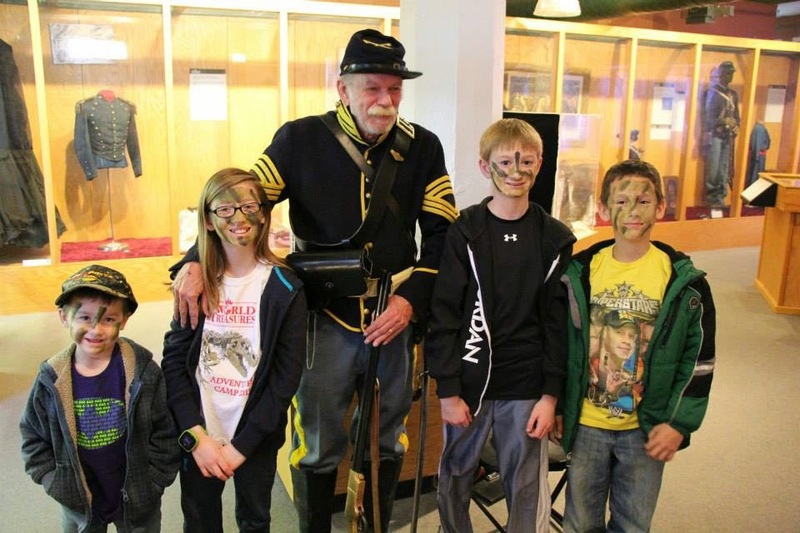 Our volunteer Civil War reenactor was fun and educational for children to interact with. Their first question was, "Were you in the Civil War?" They learned something before they moved to the next exhibit! 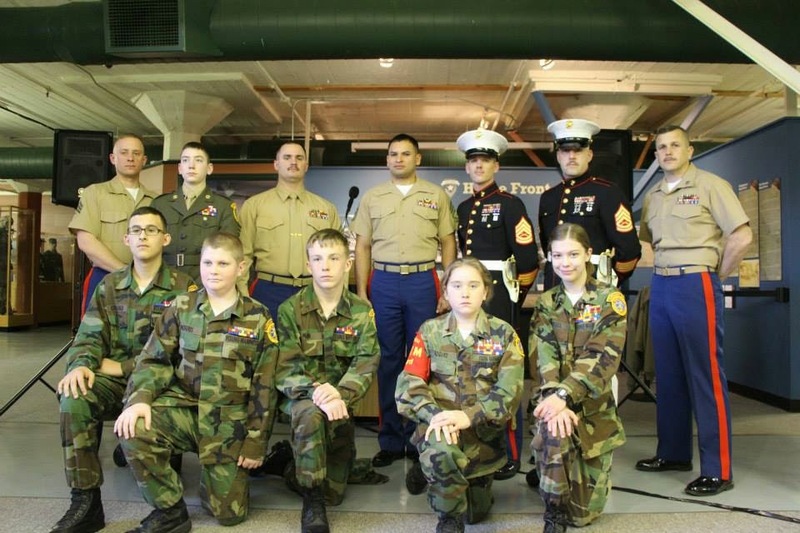 Finally, a large thank you to the wonderful military members and veterans who joined us for this spectacular event, as well as volunteer Ron Bogard who put in countless hours of planning and marketing to make it a success. U.S. Marine veterans donated a significant Marine sword to the Museum on Thursday. This group aided in the presentation of the special sword to the Museum of World Treasures. 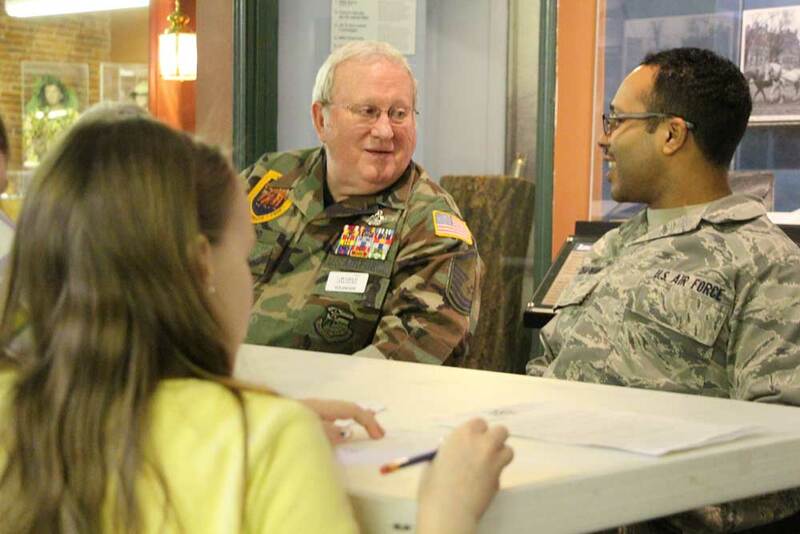 Thank you volunteer and veteran Ron Bogard (left) for all your time and effort helping organize and promote this event! See more photos of the event on our Facebook Page. Did you miss spring break? The Museum is open Monday - Saturday, 10 a.m. - 5 p.m., and Sunday, noon - 5 p.m. All activities are free with general admission. 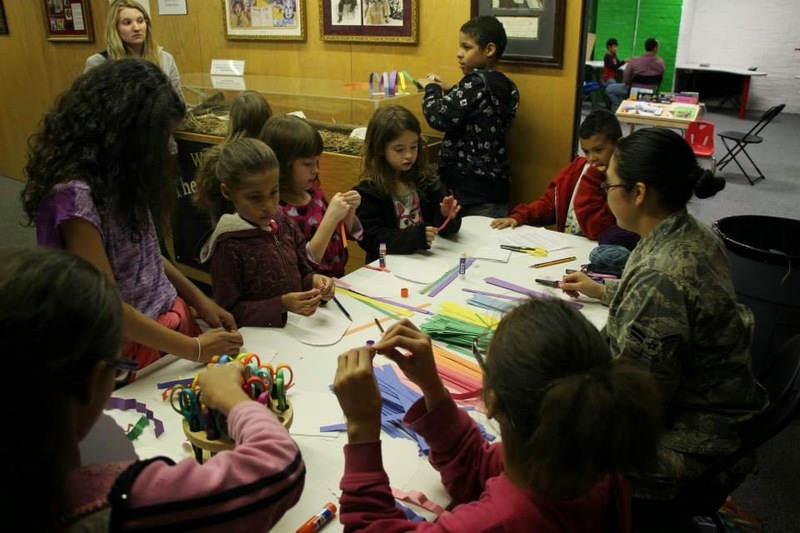 Please call the Museum at 316.263.1311 for more information or to register as a volunteer for a future event.